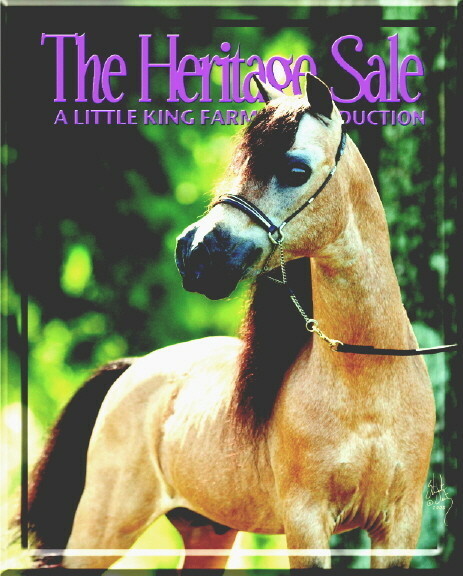 Little King Farm and Equine Auction Online has teamed up for the "Next Generation" of The Heritage Sale! 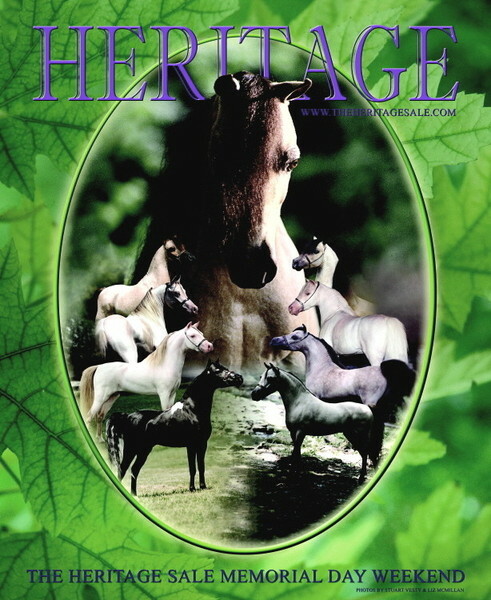 What you love and miss about the Heritage Sale is back and available online and even better! 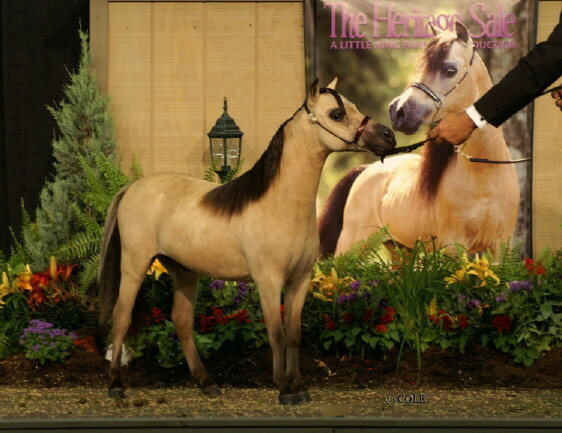 The best of the best horses with proven bloodlines and show titles from some of the top breeders and trainers in the country~ all in one auction. Just like before~ great information from professionals in the industry, virtual tour of the farm, Stallion Avenue via video and more. 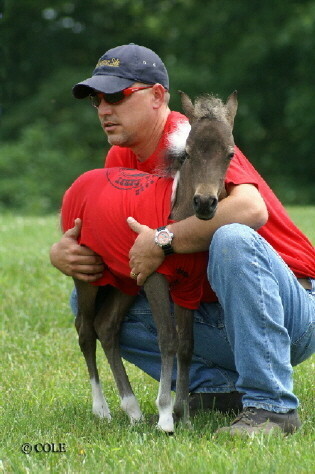 Equine Auction Online is as professional as it comes in the horse business online- just like on Ebay! All you have to do is register and start bidding! You can even "watch an item". The system will automatically email you if you have the high bid, if you are out bid, and will notify you if you watch an item that it is nearing the closing bid time. The Heritage Sale began in 2002 on Memorial Day Weekend every year at LKF. It took on a life of its own. Work would begin on the sale the year prior with promotion, articles, news stories, TV commericals and more. Plus- the preparation of the farm would begin in early March (yes for the event in May). 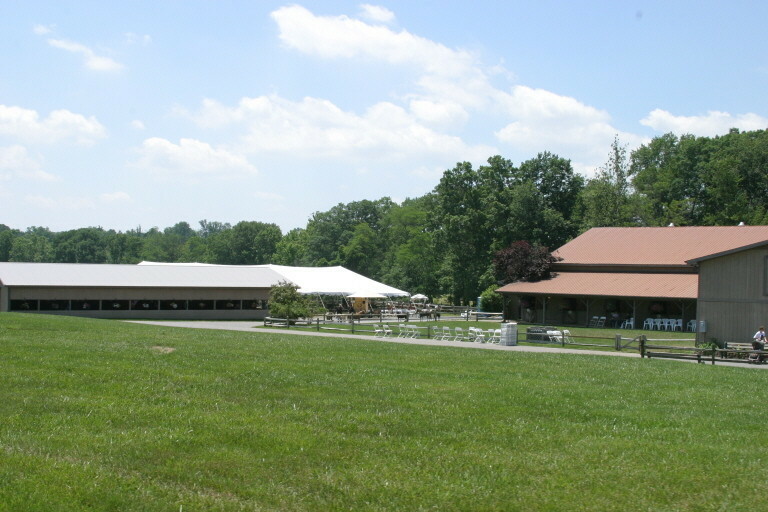 This is a "working" farm and we would convert it for one 3 day event into an absolute showplace and black tie affair. Year after year, it did become an easier project as we all knew what needed to be done when. The weekend would begin on Friday with seminars, preview of sale horses and a party that night after the Stallion parade and tribute to Buckeroo. 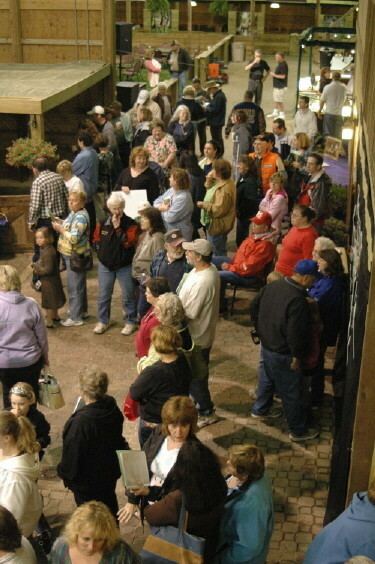 Then Saturday day would be more seminars, dinner and the Heritage Sale Auction. 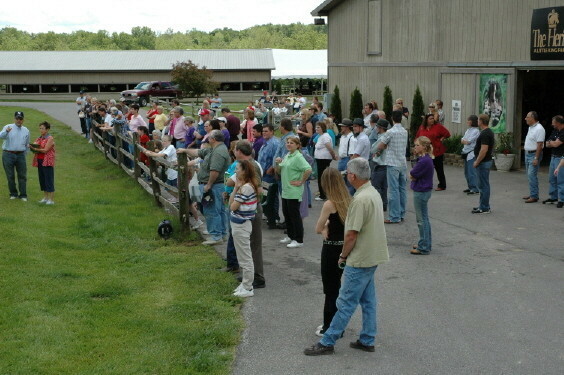 Then Sunday morning we would host a Buyers brunch, and help people with their new purchases and farm tours. 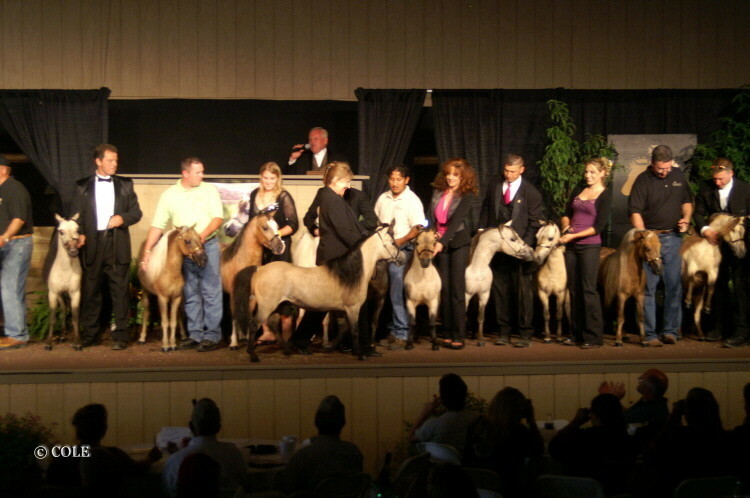 The most important part though was Auction night! 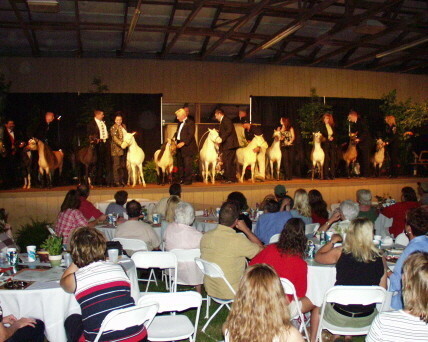 It was a black tie event with glitz and glamour, the entire arena floor was covered in fresh green sod and tables with white cloths to sit 500 people! It was always a packed house. The annual sale average from 2001-2008 was $10,000. per horse! 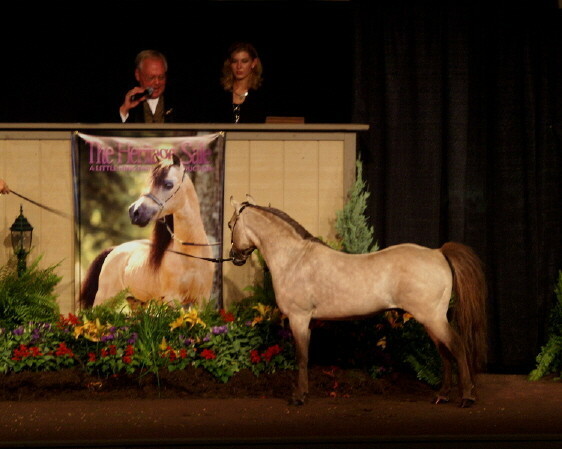 The highest selling filly ( a Buckeroo daughter) brought $80,000. 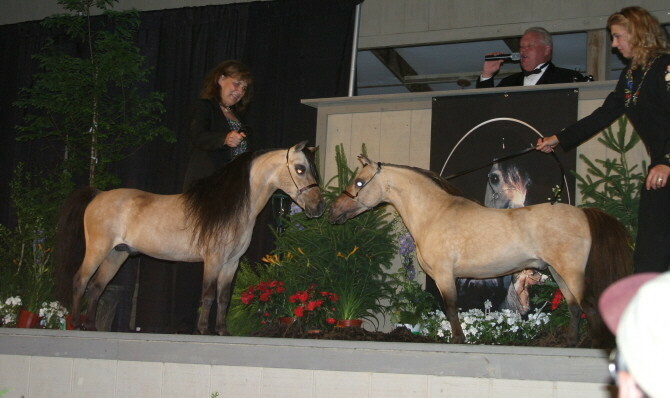 The highest selling mare and Buckeroo foal brought $75,000 and the highest selling Buckeroo son brought $100,000 in the sales! 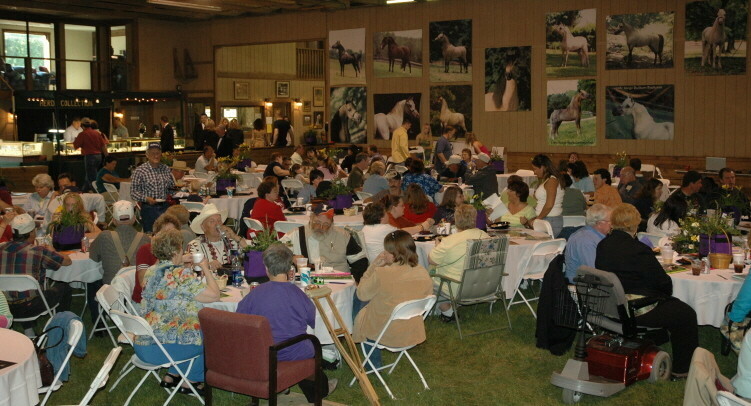 The Heritage Sale was the place to be for top quality horses, fun and education in the miniature industry for years. 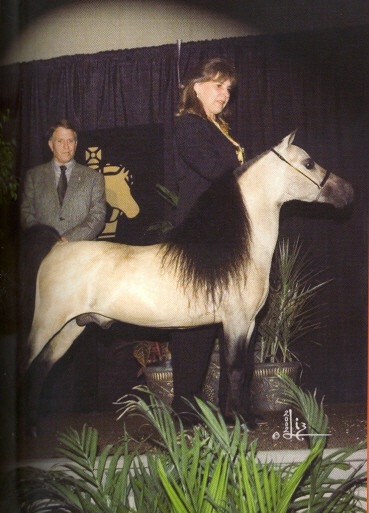 It was a combination of many top farms in the industry that all supported one horse- Buckeroo! 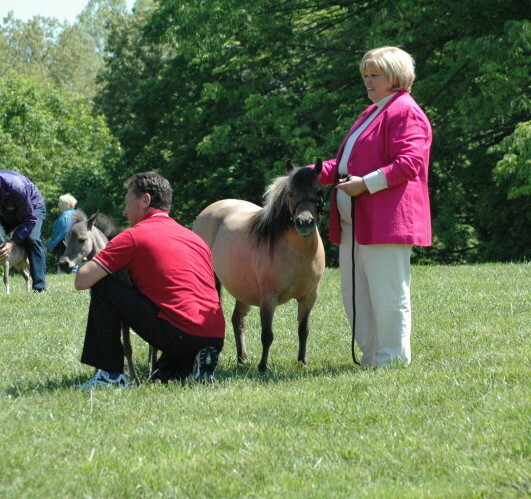 Together, we made the minaiture horse industry something to talk about! 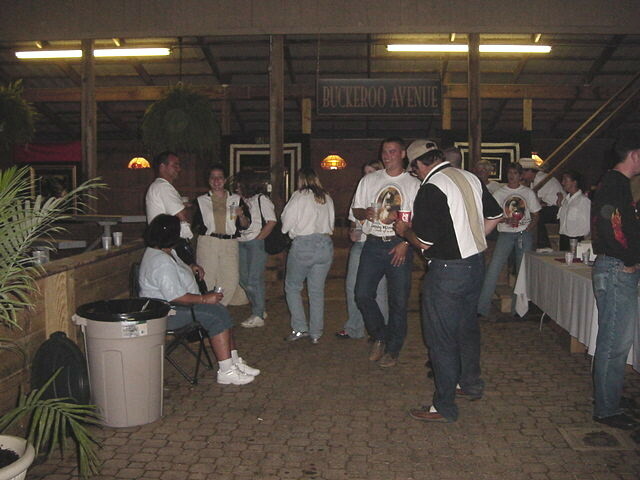 The last sale was Buckeroo's 30th birthday in which we retired him from the stage. It has been 5 years since then, and we have to say- there still isn't an Event in this industry that can compare. We have been asked to do it again and again! One of these years- we might just venture into the huge production again- keep checking back! Want to sign up for our E-newsletter? Click here. Like and follow "Boones Little Buckeroo" on Facebook ~ over 5000 followers ~and get current news on what's happening at LKF!